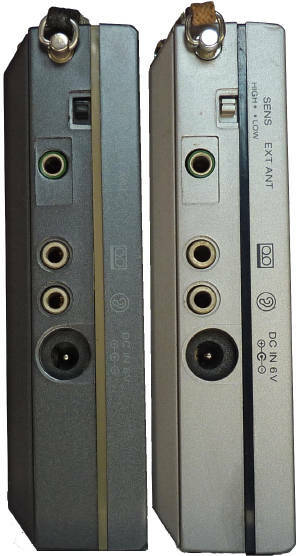 Both models of this Japanese manufactured, portable, microprocessor-controlled, frequency synthesised general coverage receiver with push button tuning and storage for up to ten favourite stations are almost identical. 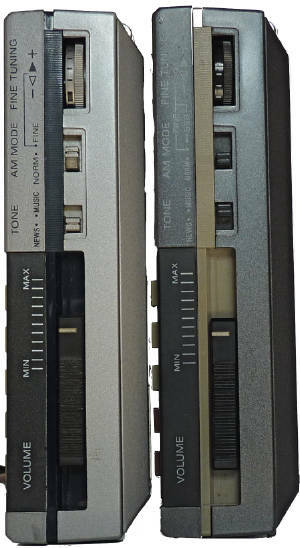 Both include a 12/24 hour digital clock and timer and are powered by six AA (2 for the computer and clock and four for the radio) mains operation is possible using a 6 Volt adapter. On medium and long wavebands an internal ferrite aerial is used. The extending aerial is used for FM and shortwaves. An external wire aerial can be attached using a 3.5mm jack plug as typically used on walkman type earphones. The sleeve could be connected to earth and the tip should be connected to the aerial wire. Inserting the jack will disconnect the internal ferrite aerial and silence the medium and long waves. Sony ICF-7600D Frequency range 153 kHz to 26.100 MHz continuous coverage of LW, MW and short-wave also FM 87.6 to 108 Mhz. Introduced in 1983. Sony ICF-7600DS Frequency range 153 kHz to 29.995 MHz continuous coverage of LW, MW and short-wave also FM 76 to 108 Mhz. This model has a BFO and can be used for listening to single sideband transmissions. Introduced in 1987. 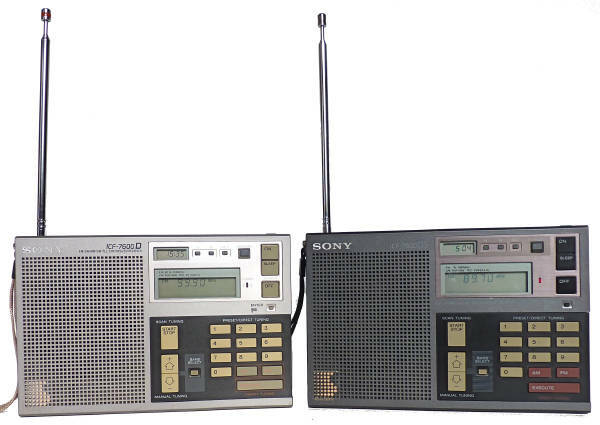 History of the Sony 7600 series radios with pictures and time line. These little radios were donated to a charity shop. Colin Davies who checks electrical equipment donated says he gets large quantities of stuff that is perfectly OK, but which the shop can't sell because there is no demand for it. I made a small donation to the charity and paid for their postage.